'Kolamavu Kokila' is one of the most anticipated movies for Nayanthara fans. Teh actress essays the lead role in this movie which has been directed by Nelson Dilipkumar. Apart from Nayanthara in the lead, the film's ensemble cast also includes Yogi Babu, Saranya Ponvannan, Jacqueline, Aranthangi Nisha as well. Music sensation Anirudh Ravichander has composed the music score for the film. Sivakumar Vijayan has handled the cinematography of the film while editor Nirmal has made the cuts. The film which began its production in July 2017 is touted to be a dark gangster comedy. The film has been bankrolled by Allirajah Subaskaran under the production banner of Lyca Productions. 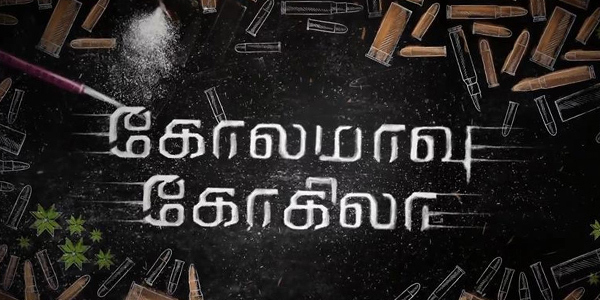 'Kolamavu Kokila' is all set to release on August 17.